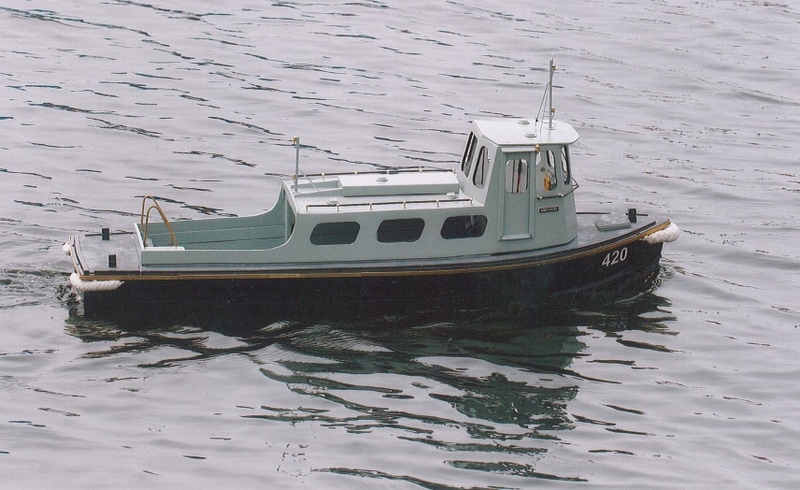 Modelmaker David Glasson researched the 40 foot Army Workboats in preparation for a model that he has built. When David kindly agreed to share this information with the author, it initiated further ongoing research that, together with David’s original work, now forms the basis of this webpage. 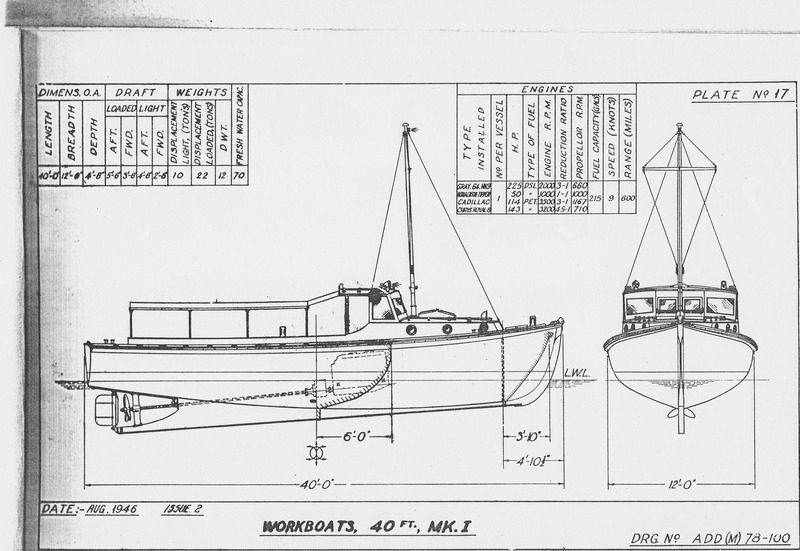 The 40 foot Army workboats were designed by shipwright Jack Botterill in Melbourne. Botterill also designed a 25' workboat for the Army and 32' self propelled bomb scows for the RAAF. Jack Botterill and his partner C.H.Fraser had a boat yard at the Corner of Hanna and Kavanagh Streets, South Melbourne. The specification for the Army workboat called for a vessel 40’ long by 12’ beam, having a cargo deadweight amounting to a respectable 12 tons, and a laden displacement of 22 tons. The speed was to be 9.6 knots and draft 4’. Plans and specifications can be downloaded from the following. In standard form, the Army workboats were of cockpit configuration, decked in forward and with a coachhouse in front of a short wheelhouse. The cockpit aft was open except for a canvas shelter on light frames. 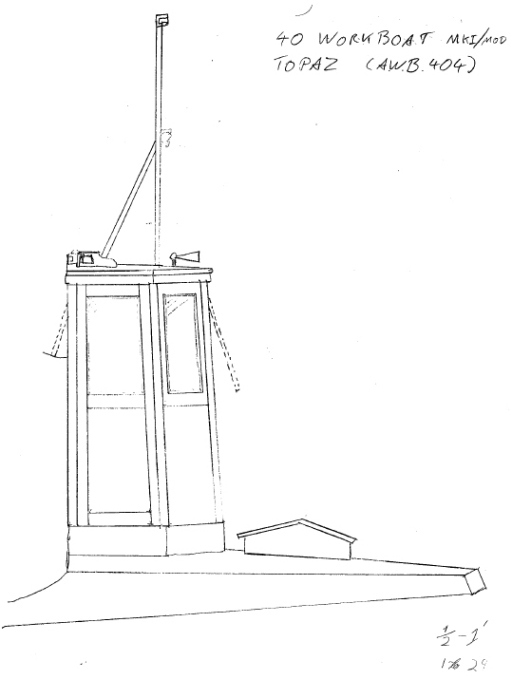 The mast was 16’ tall and could be folded by means of a tabernacle at the height of the wheelhouse roof. 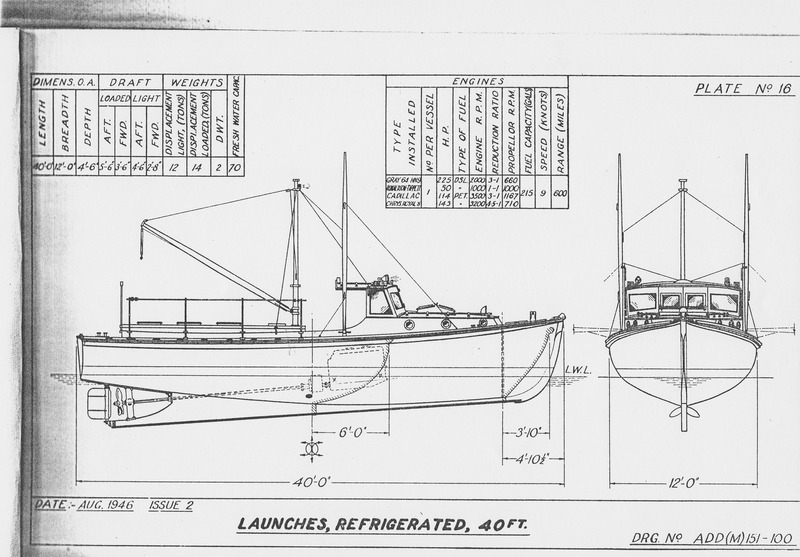 When built, each launch carried an 8’ dinghy on the wheelhouse roof. They were originally designed to be fitted with a 165bhp GM 6-71 diesel engine supplied from the USA on lend lease. The specification called for keel, stem, stern post of jarrah, a transom of double skin oregon, ½” inner skin, ⅝” outer skin. The ribs were to be of two laminations of suitable steam bent timber each 1” x 2⅜” at about 7” centres. There were to be 21 oregon hull planks on each side finished to 1⅛”. The hull to be copper fastened and copper sheathed. The deck forward was to be ¾” 7-ply bondwood. Built to meet the needs of an emergency, longevity was probably not a high priority, though there are still many on the water after 70 years of service. Over time, there were small design changes in the WW2 Army workboats as built. A Mark II version was also produced, without the tall mast and with two windows on each side of the wheelhouse. They were probably not intended for the army, but for one of the other services. The three portlights per side of the coachhouse were a defining feature of both versions. David Glasson has identified some of these in sketches he made while compiling information to make his models. 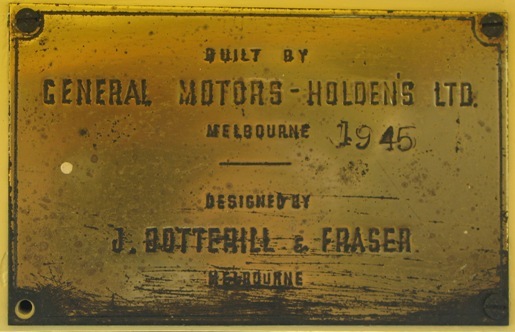 General Motors - Holdens Ltd at Fisherman's Bend, Melbourne, Vic, at Woodville and Birkenhead, Adelaide, SA; and at Mosman Park, Perth, WA. While not being experienced in boatbuilding, General Motors Holden’s Ltd and Ford Manufacturing Company had expertise in mass production techniques. 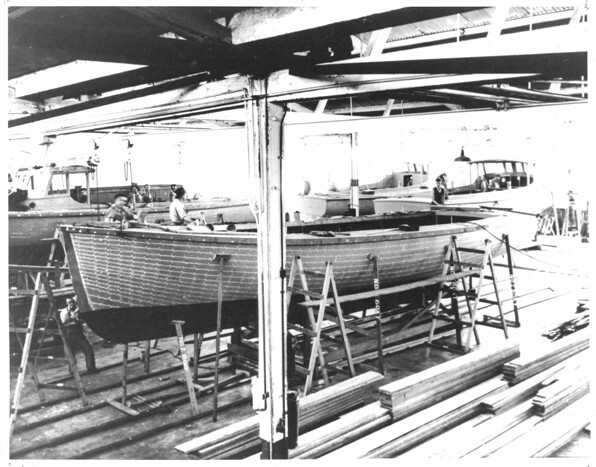 This permitted the boats to be assembled quickly and reliably without requiring large numbers of workers skilled in boatbuilding. Prior to WW2, many automobiles still contained considerable woodwork, both in structural components that supported the coachwork, and also in the interior fittings. J. Botterill and Fraser provided the knowledge of boat-building and would have picked up mass production techniques from the other contractors. building the workboats in the early years of World War II. He recalled they ran three shifts a day at both the South Melbourne and Footscray yards, and the total workforce at Botterill & Fraser exceeded 500. Outside workers were brought, and these included carpenters, house builders and even one or two coffin makers. ...the firm of A T Brine & Co (aka A T Brine & Sons), was a major WA construction and contracting company in WA at the outbreak of WWII, with enormous experience of wooden construction - of buildings! It was one of several local companies contracted to build vessels for the war effort. For example, Brines built the 40 foot workboats and the 45 foot towboats, Arcus Ltd built 45 foot towboats, the 300 ton "Swan" class coasters, and the 60 foot ASR crash boats, and Bunnings and Millars Karri and Jarrah Co ... built 60 and 72 foot GPVs for the war effort. 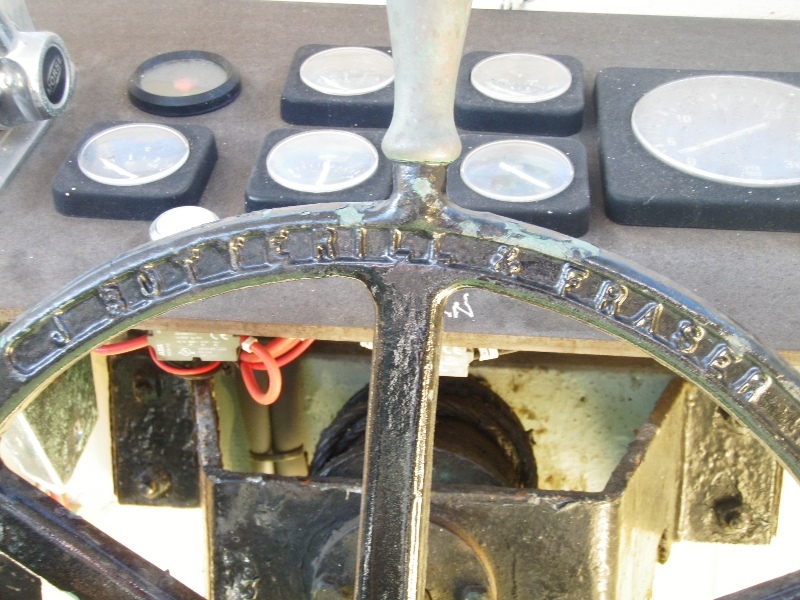 The name of the builder of each boat was cast into the rim of the steering wheel. As well as the wheel marked for General Motors - Holden's above, examples have been found of steering wheels for J. Botterill and Fraser and A.T.Brine Pty Ltd, So far, no steering wheels marked for the Ford Manufacturing Company have been located. 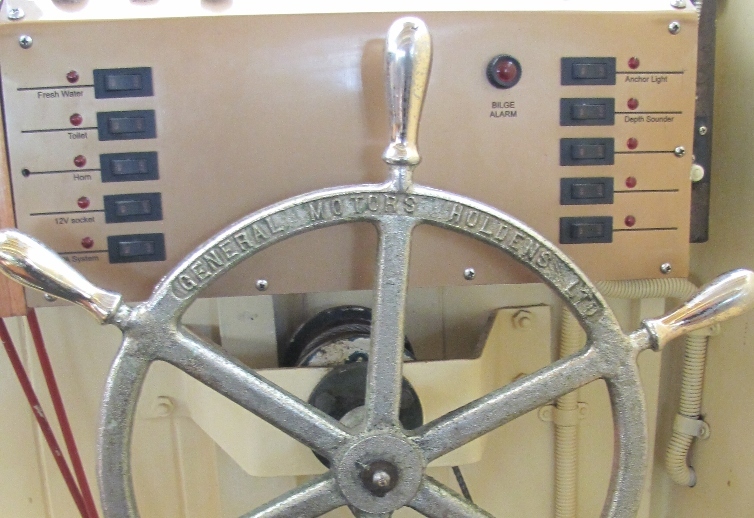 Sadly, many workboats no longer have their original steering wheel. Only one contemporary builder's plate has been sighted (see photo above). Reminiscances of men that knew the boats could not recall seeing a builders plate. It is thought that perhaps builder's plates may have only been specified for the workboats provided to the Royal Navy (see below). The following is a wonderful series of photographs provided by Don Roberts which show the workboats under construction; some in the GMH’s Woodville Plant in Adelaide and some at their plant in Fisherman’s Bend. plant. Years later his wife recalled that he did not relish the role. progressively removed as the vessel was planked from the keel to the topsides. 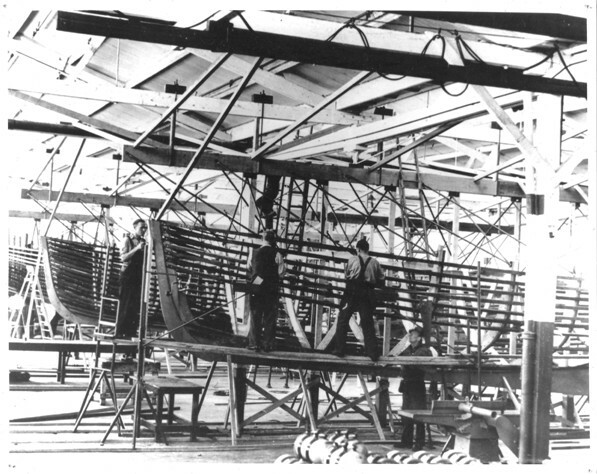 Bert Chennells is shown working at the bow. were then reused for the next batch of boats. completed workboats ready for delivery at GM-H Fisherman’s Bend. to a place of launching. handed over to the armed forces. In addition to the builders, there were many firms enlisted as subcontractors supplying various components. A book "Department of Munitions Register of subcontractors" (AP1396/1) held by the National Archives of Australia in Sydney lists these subcontractors. The attached file only shows those relevant to 40' Army workboats, 26' motor dories and Gray diesels. How many 40' workboats were built? No definitive answer has so far been found to answer this question. The table has been compiled using known numbers. There are likely to be more that are yet to be identified. Most were built for the Australian Army with 323 identified. Some sources say up to 336 were built for the Army. The additional 13 have yet to be ascertained. The Army boats were designated by AM standing for “Army Motor”. The first batch of 8 prototypes designated AM1435 to AM1442 appear to have been built in late 1942 or early 1943 by J. Botterill and Fraser. They are recorded as being in service prior to the big contracts being announced in September 1943. One can surmise that J. Botterill & Fraser built the first batch relatively traditionally with the other contractors looking on to learn the craft and see how it might be adapted to mass production. At least one of these boats was designated experimental and may well have been used for trials to prove the design before mass production and perhaps for subsequent trials of engines and configurations. Indications are that the prototype design was subsequently modified in the light of experience. The cockpit deck on the prototypes went right up to the front of the wheelhouse. The helmsman stood on a raised platform, but headroom under the wheelhouse roof was rather limited. 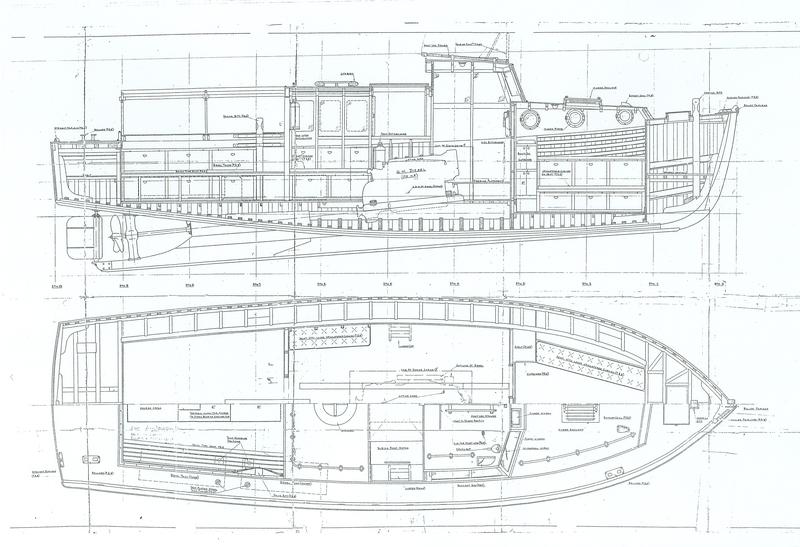 Both Mark 1 and Mark 2 designs had the cockpit deck raised in way of the wheelhouse, and the wheelhouse itself was taller. All but two of the Army launches were also given names. For example, in 1945 AH1567 had the name Hatta and AM1643 had the name Latrun. Four of the workboats have so far been identified as having served with the RAAF. These were designated 017-29, 017-30, 017-32, 017-33. There were other launches with the 017 prefix, but many of these were not the same. Though the workboats are perhaps best known for their long careers with the Royal Australian Navy, only 6 of the 40' workboats are recorded as having actually been built for the RAN; these being AWB404, AWB405, AWB407, AWB408, AWB409 and AWB411. 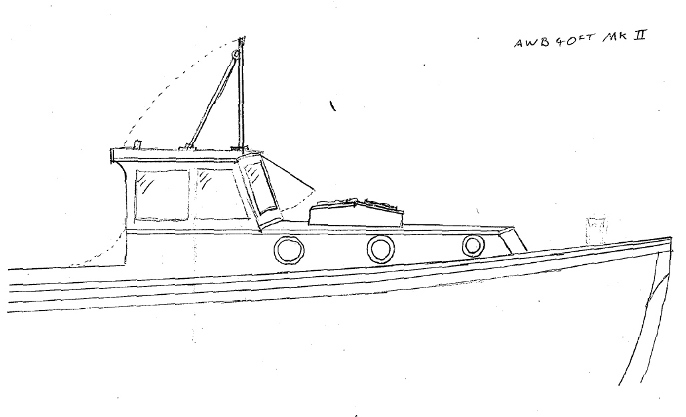 The designation AWB stood for “Australian Work Boat”, and not “Army Work Boat” as is sometimes quoted. 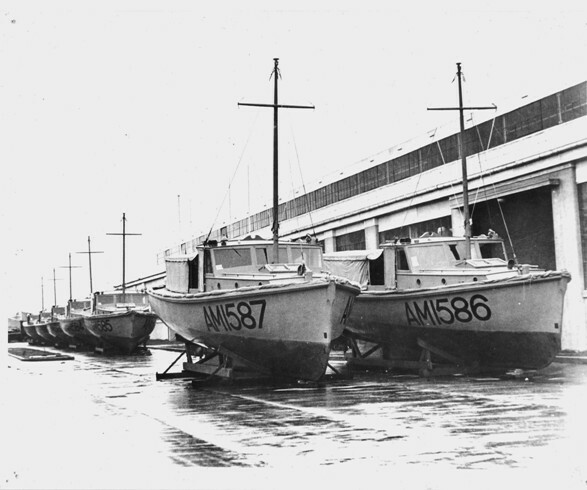 A real surprise is the 84 workboats that were built or were building for the Royal Navy. These would probably have been intended for RN operations in South East asia, though little is known. The Royal Navy launches were given a WB prefix probably standing for “Work Boat” followed by a 5 digit number commencing with 45. Based on the above numbers, this gives a total tally of at least 417 of the 40’ workboats. Amongst those built for the Army were 10 sea ambulances. These were modified to accommodate 8 stretchers. They could also be converted into a Headquarters vessel by the fitting of 6 extra bunks. So far the boats designated AM1566 to AM1571 and AM1659 have been identified as sea ambulance launches. There were three others. Before war’s end, at least some of these launches were differentiated from other workboats by replacing the prefix AM by AH standing for “Army Hospital”. 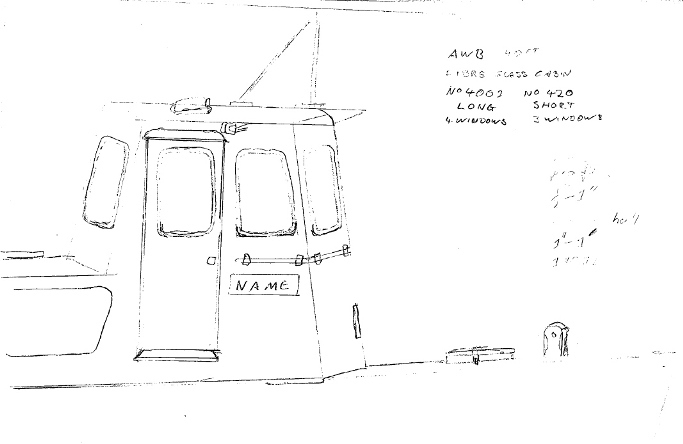 A drawing that illustrates the Sea Ambulance configuration can be downloaded from the link above. The main difference from the standard configuration was the provision of a more permanent coachhouse over the cockpit. Another variation was the refrigerated launch. 6 were built. They were in effect fishing boats. They had a derrick on a mast located abaft the wheelhouse. There were side booms for trawling and an insulated hold aft capable of holding 2 tonnes. The "refrigeration" was provided by a big ice chest. The refrigerated boats were attached to Marine Food Supply platoons. These had been established to supplement fresh food supplies so as to facilitate the recovery of the wounded and sick in hospital. A drawing that illustrates the Refrigerated configuration can be downloaded from the link above. The boat is arranged with mast and derrick abaft the wheelhouse, the side booms either side of the wheelhouse and the refrigerated hold aft. The original workboat design was based on the 6Cy. General Motors 6-71 2-stroke turbo diesel. This model had commenced production in 1938. The engines produced 165bhp in peacetime tune but up to 225bhp in battle tune. However, production during the early years of the War was limited. Only 9000 were produced in 1941. By 1944 the number produced that year had risen to 62,000; but even so, because of the engine's versatility on both land and water, this was still insufficient to meet the demands of war. 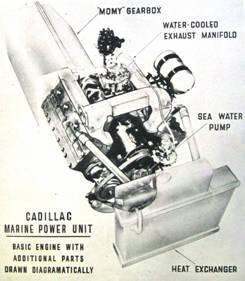 From the start of the Workboat program, the USA was unable to supply the engines it promised on lend lease, and so other engines had to be found for the purpose. 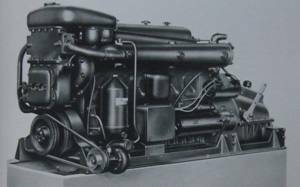 Small numbers of GM 6-71 diesel engines became available in 1944. These were from imported tanks that were no longer required. The engines were removed and converted for marine use, but were assigned to workboats only for special circumstances. The first batches of workboats were fitted with 108-143bhp straight 8 Chrysler Royal petrol motors. These engines had been frequently fitted to pleasure cruisers prior to WW2. As well as delivering considerably lower power, these engines had the significant drawback of being petrol with all the risks that brought on a vessel likely to be exposed to enemy fire. But it was a case of any port in a storm. Notwithstanding the compromise, the supply of Chrysler engines was still inadequate to fulfil the needs of the small craft program. Early in the Pacific War, the Government instructed General Motors Holden to design and build a light “Cruiser” tank to combat an anticipated invasion of the Australian mainland by the Japanese. Each tank was powered by three 114bhp V8 Cadillac petrol engines. Production of the engines commenced at GMH’s Pagewood plant in Sydney in June 1942 but was halted when it became clear that future fighting was to be in the jungles to the North rather than on open spaces on the mainland. Production of engines had been well advanced and it was decided to convert these for use in the Army Workboats. They were marinised by fitting of heat exchangers and Momy gearboxes. The work was done by GMH at Melbourne. In 1943, with little prospect of the GM 6-71 diesels that had been promised on lend lease being delivered from the United States, the decision was taken to manufacture 500 Gray 225bhp 64HN9 diesel engines in Australia. The Australian War Memorial Official History of WW2 gives an insight into the problems faced (see Civil Volume 4 Chapter 15 page 409). The contract was awarded to General Motors-Holden's because the parent company controlled production of the Gray in the United States. The order was placed in July 1943. Due to technical difficulties, by the end of June 1945 there still had been no deliveries. Delivery did not take place until after the end of the war. 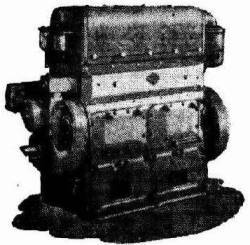 Fortunately American engines arrived in modest quantities in 1944, but engine supply was so tight that a comprehensive system of pooling was found necessary. The Gray 64HN9 used the GM 6-71 engine but with a different marine conversion. There were many challenges to be overcome in order to tool up and manufacture this engine including problems finding drills small enough to drill the 0.006” holes needed to manufacture the injectors. Though the war ended prior to the first delivery of these engines, many of the petrol workboats were retrofitted with Gray diesels postwar. The records indicate that at least one of the Army workboats was fitted with a 50bhp Ronnaldson and Tippett diesel. Manufactured at Ballarat, Victoria in increasing numbers as the war progressed, these engines were installed in new landing craft instead of the original petrol motors that had been used in earlier production. They were also installed in banks of 6 driving three shafts on ocean lighters. It is possible that the Ronnaldson and Tippett installations in workboats may have been for training or experimental purposes. The original purpose of the 40’ Workboats was to support the Allied operations in the islands to the North of Australia. Most of the Army launches saw service in locations from Torres Strait to New Guinea and perhaps also in the Solomon Islands. A few were apparently stationed at training establishments on the Australian coast. There is a lot more research that needs to be done on this period. A number of the boats are recorded on these Royal Australian Navy Record of Shipping Movements compiled during WW2. This is a rich resource yet to be examined. One of the record cards is shown here, this one being for the 40’ Army Workboat AM1438 Kantara. Believed to start in 1942, it indicates she was at Thursday Island, Merauke, Mapi, Okaba, Kinaam and Koombus between November and the following May. These are locations inside what was then Dutch New Guinea on the Southern coast of the island West of the border with Papua. There was a major Allied air base located at Merauke, and it was the site of fighting between Japanese and Australian patrols. One workboat RAAF 017-29 was based at Melbourne. The three other known RAAF 40’ workboats appear to have been based at Darwin. There are reports that more may have been operating in New Guinea. Further details sought. 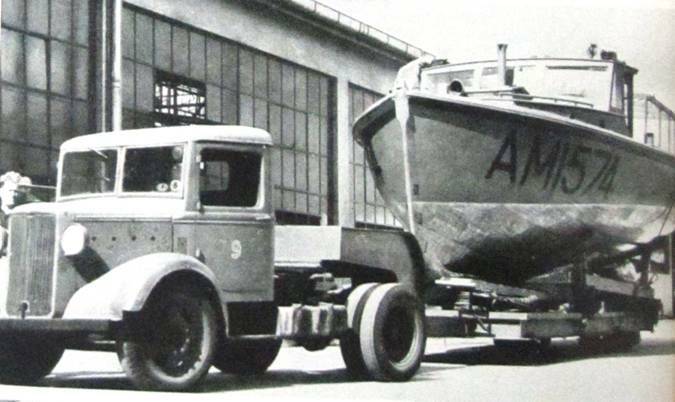 The 6 boats for the Royal Australian Navy were all completed in late 1944 and early 1945 by General Motors – Holdens and most appear to have been fitted with Graymarine diesels, probably part of the RAN's allocation. Most of the workboats built for the RAN were shipped to New Guinea. None are currently in service with the RAN. The last shown was AWB404 Topaz which was sold around 2011. 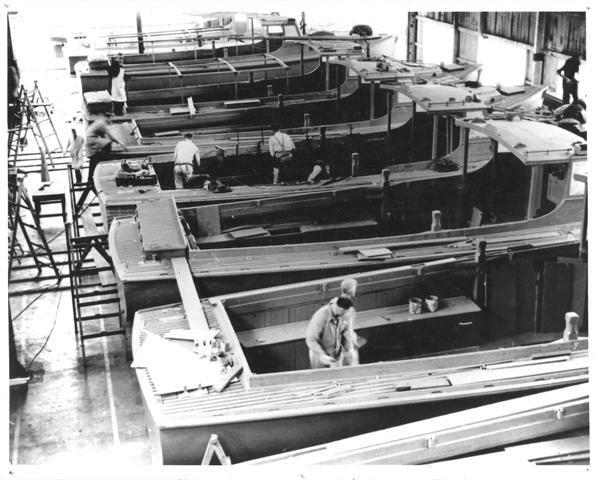 In the latter half of 1945 General Motors - Holden's Ltd at Woodville, SA were engaged in building 30 of the 40' workboats for the Royal Navy. The workboats were to be fitted with Chrysler Royal engines. A progress report dated 20 August 1945 advised that component parts for the 30 workboats were nearing completion and would be finalised within 2 weeks. 18 keels had been laid and 14 hulls completed awaiting engines. By the end of October it was expected that the 30 keels would have been laid and 26 hulls built, with the balance in the final stages of construction. With no information as to the availability of Chrysler Royal engines, no indication could be given as to how many boats would be fitted with engines by the end of October. The end of WW2 came suddenly. A secret weapon, the atomic bomb, was dropped on Hiroshima on 6 August and another was dropped on Nagasaki on 9 August. Within a week Japan had surrendered. Without having prior knowledge of the atomic bomb and the tremendous change in tactical advantage they would bring, construction of small craft in Australia had proceeded unabated. By 25 October 1945 there were 33 of the 40’ Army workboats under construction: 3 for the RAN, 23 for the Royal Navy and 7 for the RAAF. A meeting recommended that construction be immediately terminated. It noted that the Army had 57 of the 40’ workboats unallocated and the RAN would be a potential purchaser. Very soon after the end of the War, the Royal Australian Navy acquired about 38 additional launches that were surplus to the requirements of the Australian Army. These became AWB403, 406, 410 and AWB412 to 446. No references have been found so far for AWB401 and AWB402. NOTE: At the time of writing except for AWB410 (ex.AM1876), AWB414 (ex.AM1725), AWB420 (ex.AM1635), AWB433 (ex.AM1633), AWB435 (ex.AM1437) and AWB445 (ex.AM1849), the original designations of 32 of the other AWB400s launches is unknown. Any information on this would be gratefully received. 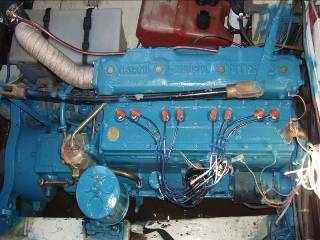 REPLACEMENT OF PETROL ENGINES BY DIESEL ENGINES IN AUSTRALIAN WORK BOATS (40 FT.). 1. 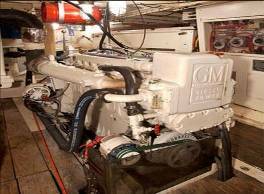 As petrol engines installed in Australian Work Boats (40 ft.) become beyond economical repair, "Gray" Marine Diesel engines, type 64 H.N.9.B, are to be fitted as replacement engines. Type 64 H.N.9.B engines are of Australian manufacture and have been "derated" in order to reduce the power to 165 H.P. at 2100 R.P.M. (a) Full reasons for considering that the petrol engine is beyond economical repair. (b) Statement that the condition of the hull justifies the total expenditure involved. (c) List of parts of the petrol engine which, it is consid ered, should be salvaged. Navy Order 316 of 1948 refers. The motors were 'derated' by replacing the 'Services 90' injectors with 'Peacetime 60' injectors reducing the engine power from 225bhp to 165bhp. At some later time after WW2, the RAN acquired three more Army launches: AM1658, AM1783 and AM2009. For these, only the prefix was changed to AWB but the original Army numbers were retained. They became AWB1658, AWB1783 and AWB2009. Some of the 40' workboats operating with the RAN also carried the name of the base to which they were attached; AWB417 was given the name Harman for the Naval Radio Communications Centre in Canberra. AWB418 that was based at the Royal Australian Naval Air Station at Nowra between 1958-1963 carried the name Albatross during this time. The RAN workboats attached to the pound at Garden Island were not named. But the launches that served Spectacle Island depot in Sydney were named Garnet (444), Onyx (416), Topaz (404) and Amethyst (420). In the 1960s and 1970s a number of the RAN workboats were remodelled with a raised wheelhouse and aft coachouse, providing better shelter for use as personnel carriers. 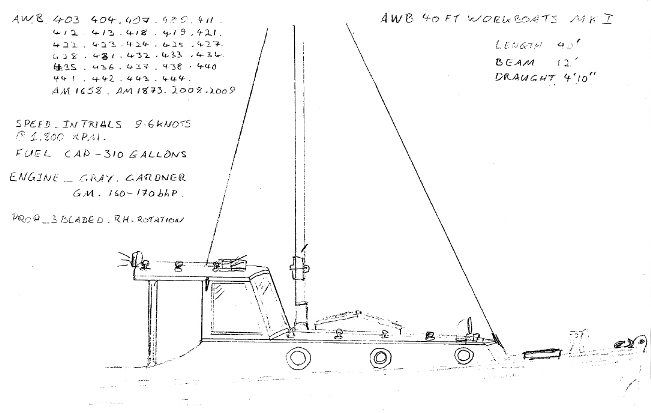 These sketches by David Glasson show modifications that were made to AWB404 and AWB420. Some workboats were assigned to the Naval Clearance Divers at HMAS Rushcutter and later HMAS Penguin at Balmoral. Alterations for diving service made to AWB442 were typical and included a taller mast, diving platform off the transom and bottle racks. 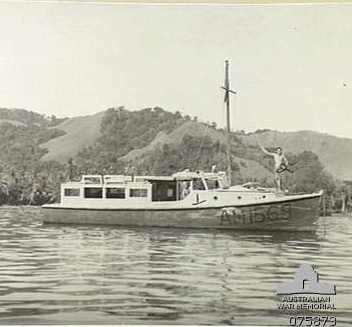 One of the dive boats, AWB440, was later assigned to the Defence Science and Technology Organization. Fitted with an A-frame aft, a short permanent awning and test equipment, she continues to be used for classified testing and experimental operations. Over the years, the Graymarine diesels in some of the RAN workboats were subsequently replaced by other engines that included Gardner diesels and GM Detroit 6-71 diesels. The RAN built ten 40' workboats in the 1960s. The hull of these workboats appears quite similar to the WW2 boats, but the superstructures are along the same lines as some of the modernizations of the WW2 workboats. For more information, see the webpage on 1960s RAN Workboats. After significantly downsizing their fleet after WW2, the Australian Army was again operating workboats in the 1950s. AM2401 was operating on Moreton Bay in 1964. She was probably the last of the Army launches to be built. Two others in the same batch that were designated AM2402 and AM2403 were under construction when Wartime production was terminated. Both were sold in 1946 as bare hulls. The Royal Australian Engineers 32 Small Ship Squadron was formed in 1959 to operate 4 large landing ships. In 1963 32 Small Ship Squadron started operating out of Woolwich Dock, Sydney. 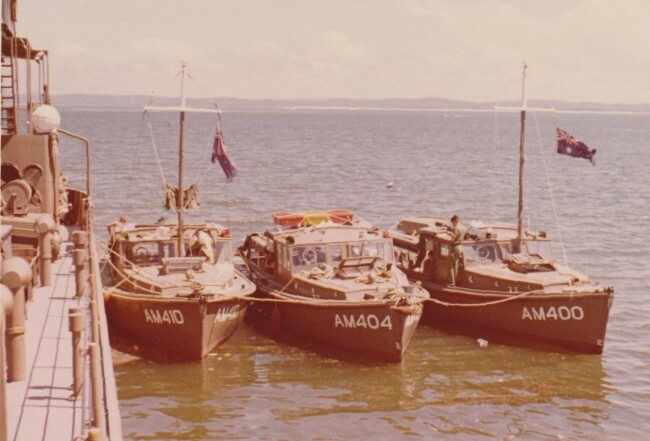 Boats operated by the Army around this time were AM400, 401, 402, 404, 406, 409, 410, 413. They appear to have been obtained from RAN and retained the Navy AWB number but were given AM prefix. 35 Water Transport Squadron RAE operated out of Woolwich in the late 1960’s through to the Royal Corp of Transport in 1973 taking them over. There were three work boats at Woolwich, AM400, AM404 and AM410. In 1972 as well as the workboats, the Unit consisting of six LCM 8 landing craft, the supply ship AV3051 John Monash and the tug Joe Mann AT2700. 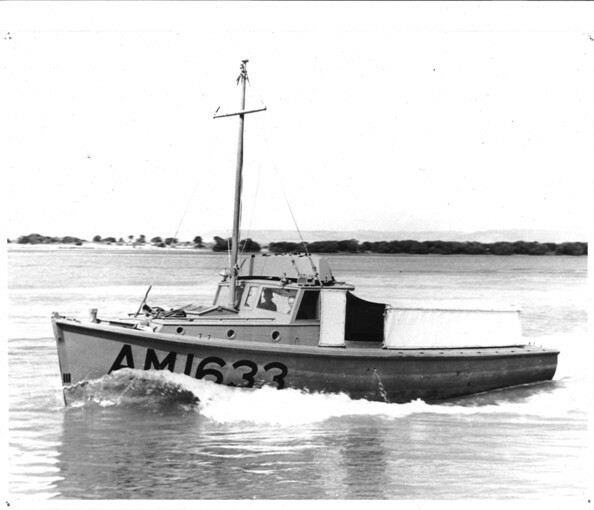 The last 40’ Army Workboat operated by the Australian Army was AM402 Mena (ex.AM1945). From 1965 AM402 Mena was attached to 31 Terminal Squadron RAE, based at Swan Street Richmond Engineer Depot, Melbourne. Between 1975 and 1982 Mena was attached to Melbourne Water Transport Unit, which had been formed from the amalgamation of 31TML Squadron (RAE) and 41 TPT platoon (AMPH). She was employed as tender to movements of LARC V's on Port Phillip. In about 1980 the existing Graymarine diesel was replaced by a brand new 6Cy. Graymarine diesel that was war store stock from Bandiana. 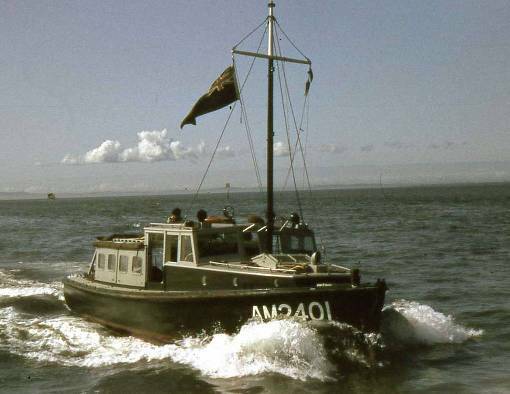 In April 1982 AM402 Mena was put up for disposal after having been replaced by aluminium workboat AM421 Mena II. 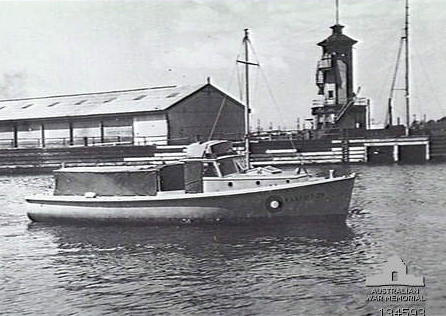 In August the last of the Army 40-footers in service with the Australian Army was disposed after 40 years service, presented to the Royal Volunteer Coastal Patrol at Williamstown to be used as a training craft. Most of the Army workboats were sold off after the War. Some were sold in an unfinished state. The Sydney Morning Herald page 13 column 8 carried an advertisement for 12 incomplete 40’ Army workboats that were to be offered by public auction at Adelaide on 6 September 1946. Others were sold complete. Priority was given to Government agencies and returned servicemen. The workboats had been built at a cost of £4,650. The Melbourne and Metropolitan Board of Works bought hull number V67 for £2250. Renamed Workboat 11, she was acquired as part of a program to replace dredging fleet handed over to the Defence Authorities during the war. 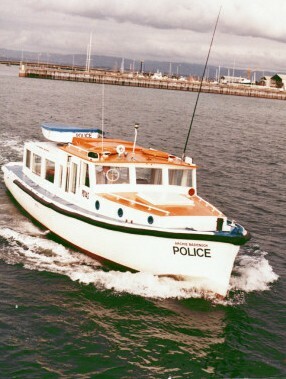 The South Australian Police purchased workboat WB45379 and renamed her Archie Bardenoch. She served as their police boat at Adelaide for over 30 years. So where are the WW2 Army Workboats now? 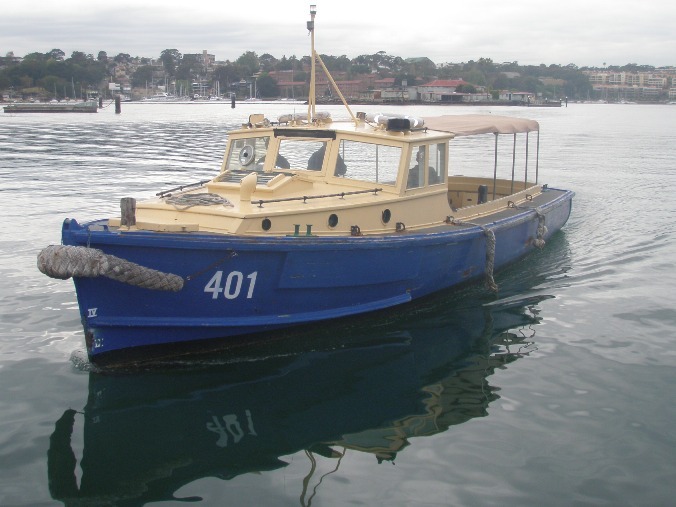 The Royal Australian Navy still operates three former Army Workboats on Sydney Harbour: AWB420, AWB440 and AWB444. AWB444 shown in the photo below has been renumbered 401. Of the many that operated with Government Departments, perhaps the last in public survice is the Burnley which is still operating with Parks Victoria. Of those sold into commercial service, there are still some carrying passengers including the Mulloway (ex.AM1437, ex.AWB435). Mullaway operates fishing charters out of Lakes Entrance. Another the Codock II (ex.WB45340) operates as a ferry and for charter cruises on Brisbane Water. Codock II. After 44 years serving the Dockyard at Cockatoo Island, she is now operating commercially on Brisbane Water. A number of the workboats ended up in the fishing industry. Most of these are no longer working, but have become pleasure cruisers. However, the Vigilante is still (2013) fishing commercially out of Greenwell Point, NSW. Purchased with the name Doreen at Geelong by Graham Bates in 1987, she had previously been used as the Geelong Harbour Master's launch. Graham Bates decked the cockpit in and fitted a wheelhouse on deck. He worked her for 22 years before selling Vigilante to a new owner who continues to fish out of Greenwell Point. 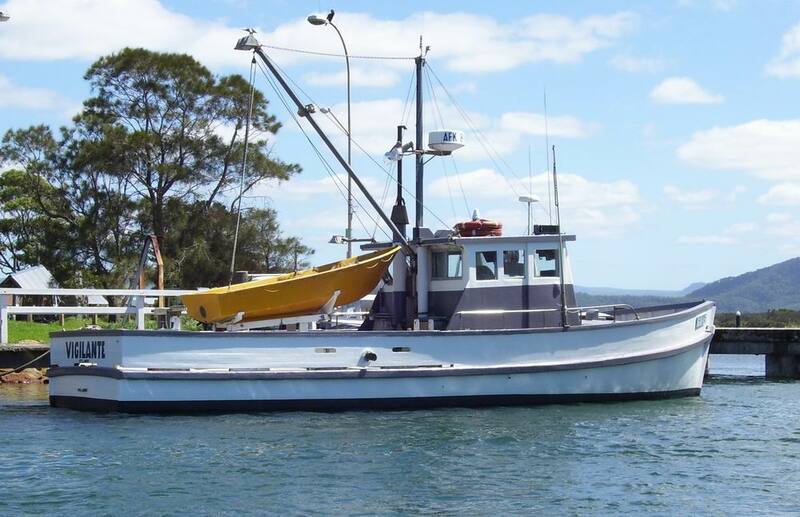 One of the former 40' Army workboats that worked in the fishing industry and has since been retired is the Marauder which, after fishing out of Eden, NSW and then Mallacoota, Victoria is now one of the large fleet of former 40' workboats on the Gippsland Lakes, Victoria. Former trawler Marauder. For fishing, the cockpit was decked in, and a wheelhouse on deck and a raised foredeck were added. After many years of hard work, Marauder is now on the Gippsland Lakes as a pleasure vessel. 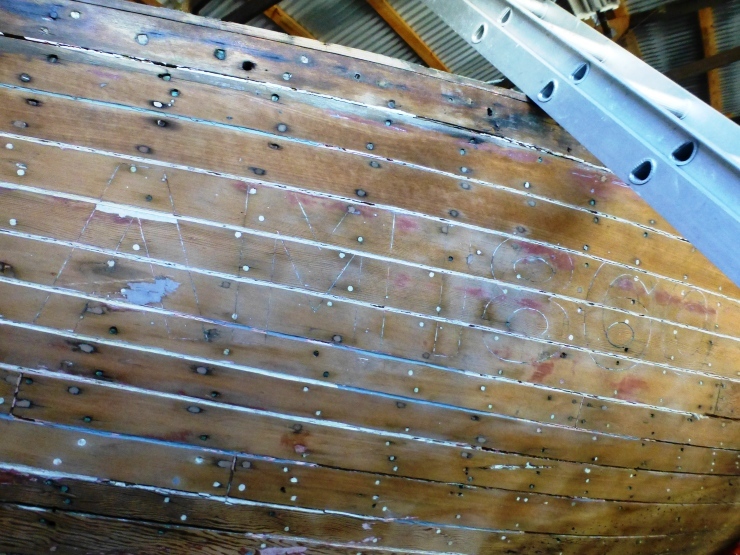 The Archie Badenoch mentioned above is now preserved at Port Adelaide by the South Australian Maritime Museum. The Archie operates cruises from Port Adelaide. The Lady Jess shown below is an example where the current owners are seeking to find out about their former Army Workboat. The early history of these boats is sometimes lost and the owners are looking to find out anything they can, particularly anything about any wartime history. 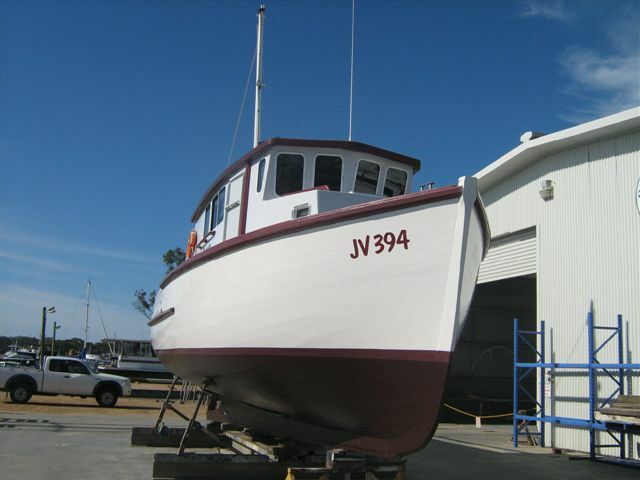 The Lady Jess, ex The Chad, was converted into a motor cruiser in Queensland by Hugh Morris at Brisbane. She is still operational but her owners know nothing of her early history. Not all the Army workboats have a secure future. There are some languishing in their twilight years. 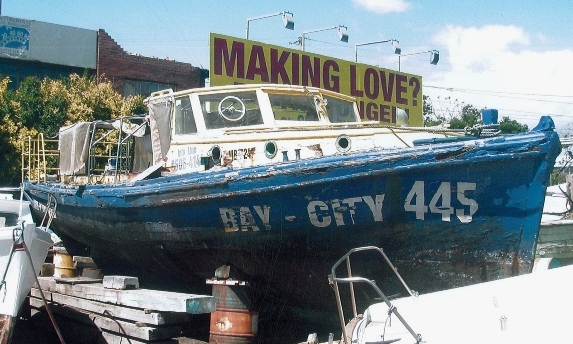 The Bay City 445, ex AWB445 is lying ashore at Mordialloc, Melbourne. Perhaps these are her last days. 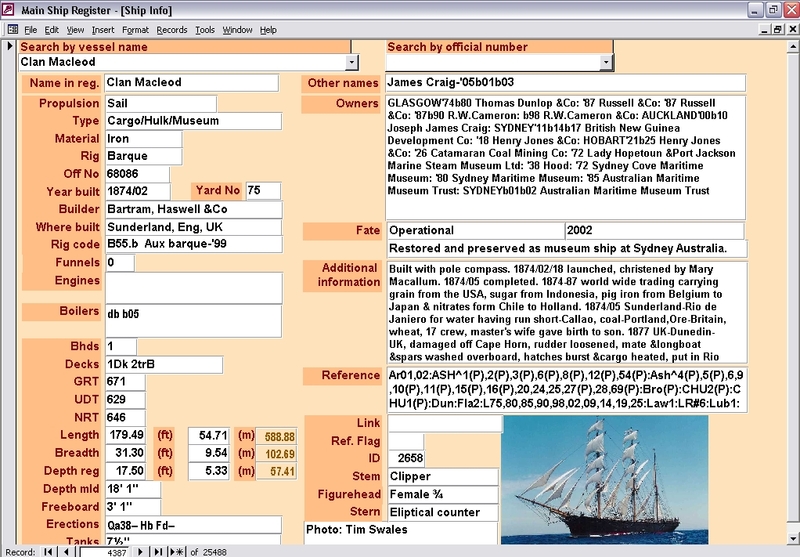 A register of individual boats has been created to try and record the story of each. This register is still in its early days but you will find each of the boats mentioned above plus many, many more listed. Any information on the history and/or current status of 40' Army Workboats would be gratefully received. Please contact Mori Flapan by email. 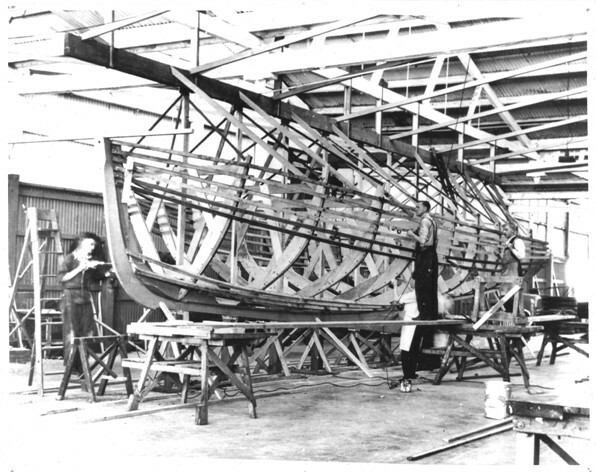 Does anyone know about the company A.T.Brine &Sons Ltd of Perth and their involvement in building boats during WW2? Answered, see Michael Gregg's response above. Is there a master list of WW2 Army Workboats that records who built each launch and when it was built? 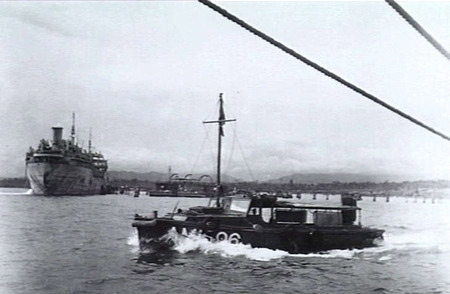 Extensive listings of Army workboats were provided by Ross Gillett. These are now incorporated into the page on individual Army workboats. Still seeking lists that show builder and engine and actual year built for each boat. Is there a list of the Army boats that received new AM400 numbers that correlates them against the original four digit AM numbers? 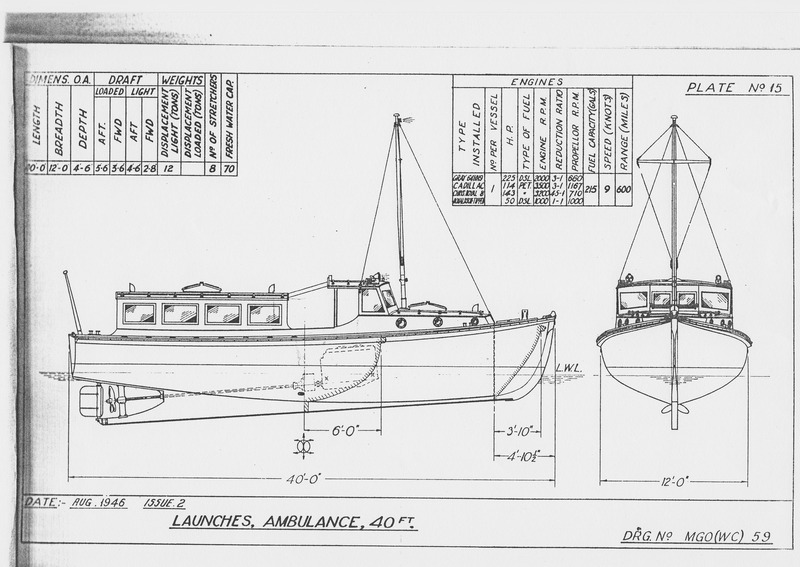 Is there a set of drawings for the Army Workboats that I could publish on this page? Yes (thanks Ross, Bryan and David). See above. 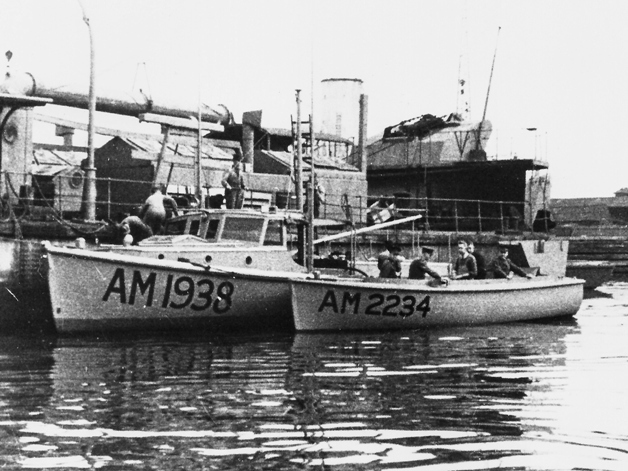 Does anyone know more about the number and designations of 40' Army Workboats that were built during WW2 for the Royal Australian Navy and Royal Australian Air Force? Were any of the Army 40' workboats built for the US Army Small Ships Section? Does anyone know of a definitive method for identifying the original number of a 40' workboat through markings on the boat? For a discussion of this refer to the bottom of this page. See method 5 contributed by David Glasson and method 6 contributed by Craig McCarthy below (more thoughts, actual cases and feedback still appreciated). 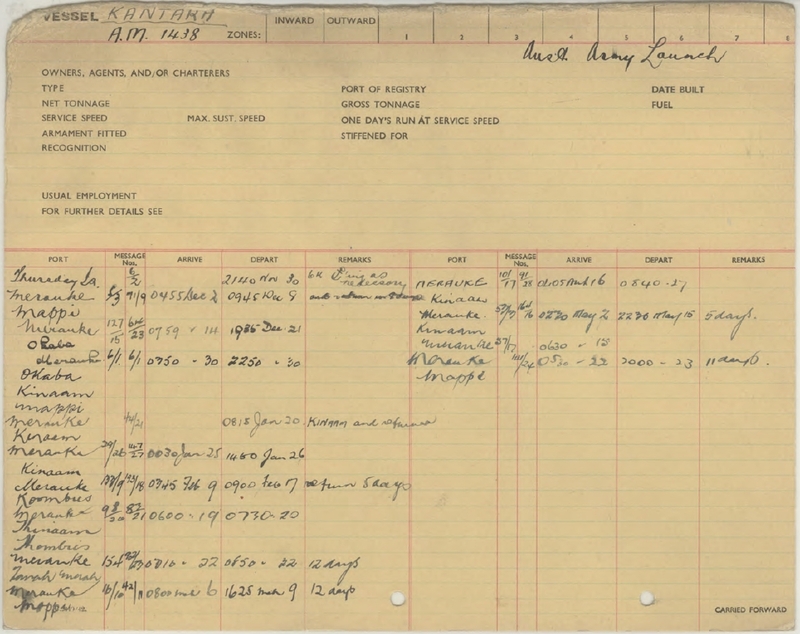 How to determine the original number of a 40' Army workboat? At this stage, there has not been a definitive method established for doing this. Some suggestions follow. Carefully look under layers of paint on the topsides forward for any signs of original numbers and markings in earlier layers of paint. The numbers of at least some of the workboats were incised into the planking (Photo 1). Look under fittings such as bollards for any signs of numbers in pencil or crayon. These could indicate stock allocated to the particular vessel during construction. Care has to be exercised though because the parts may have been replaced using spares in stock or fittings acquired from other boats. Look for any identification cut into the side of the stem post (Photo 2). Vessels for defence purposes often had the identification number, year of build and place of build cut into the timber. So far we are yet to have such markings confirmed on a 40 footer, so any feedback would be gratefully received. Again, it is possible that the stempost on a 70 year old workboat may not be original. 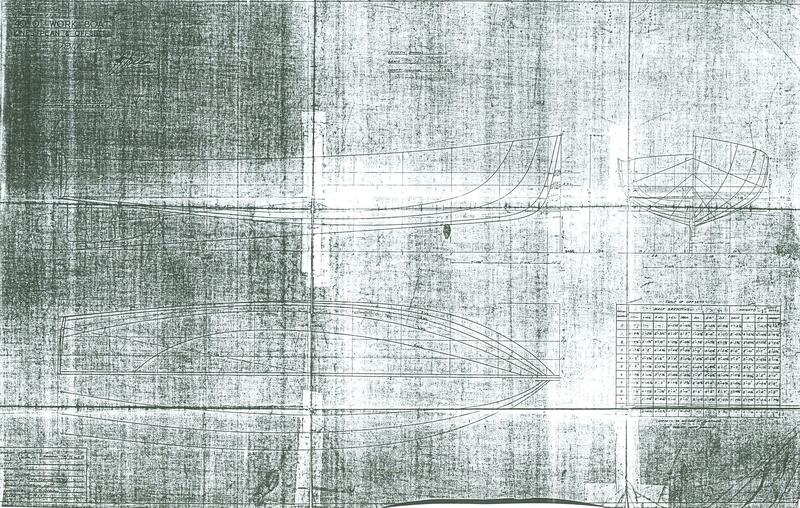 A photo of the stem markings for a Naval Cutter is shown below. Look for any evidence of previous uses: signs of attachment of the coachhouse for a sea ambulance, and mast steps in the keel that could indicate a Mark 1 configuration, or a refrigerated hold configuration. Though we do not yet have definitive lists of boats, in time that sort of information may become invaluable to establish the earlier history of a boat. 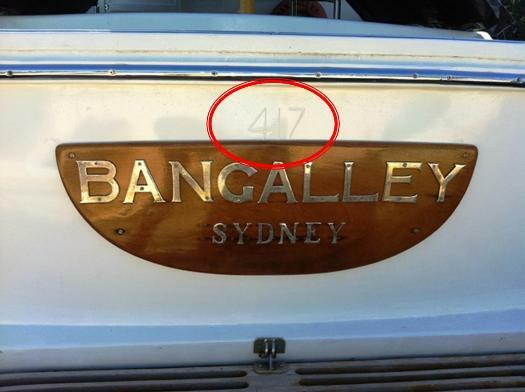 At least one of the workboats that was renumbered and transferred from the Australian Army to the RAN has the numbers cut into the centre of the transom just below the gunwale (Photo 4). Others might be similar. PS: The above might also prove useful when trying to identify other types of WW2 built craft. I was recently told that the first method revealed that a motor cruiser was originally RAAF 020-2 a fire float launch.